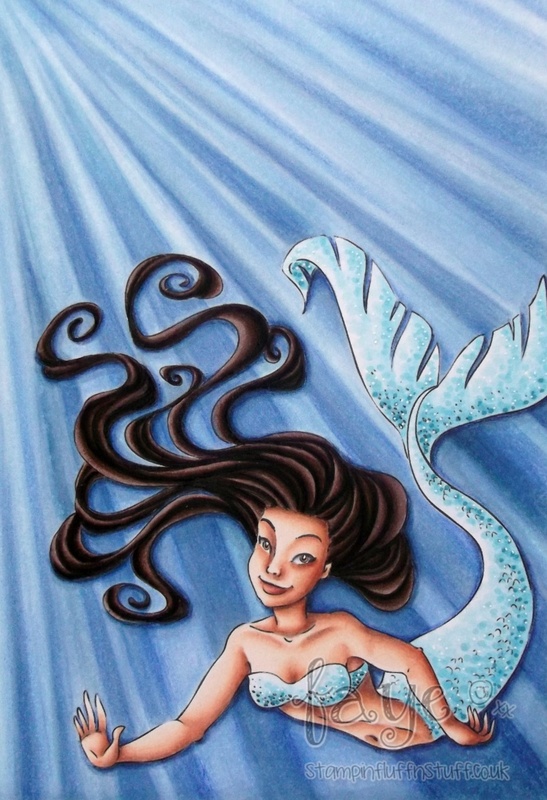 I've had a hankering to colour a Mermaid for a while, so when Squizz told the Word Birds the next Challenge at Without Words would be a Blue and Brown Colour Challenge, (you still have just over a week left to join us, with a chance to win goodies from Clearly Besotted so... see you there, right?!) I rubbed my little hands together with glee. 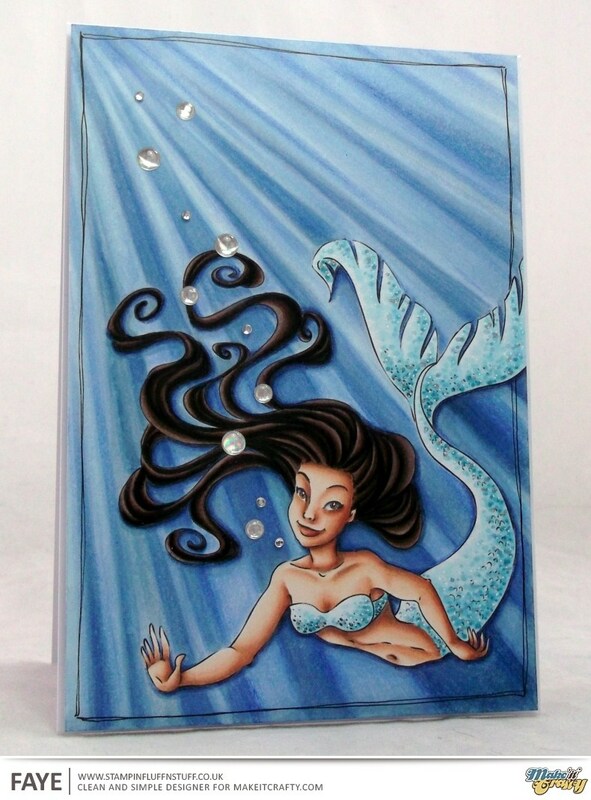 Make it Crafty has a gorgeous selection of Mermaids to choose from, (this lovely is Mermaid Lola.) so I thought I would combine my Wordy Duties with some Make it Crafty Inspiration. Bosh! I love it when a plan comes together! Wow, this is stunning. Love the background, it's amazing. Amazing colouring! Love this gorgeous design and her pretty tail and sequins! Well this is rather bloody gorgeous! Both the background and the image are gorgeous Faye. Gorgeous! I can't believe how amazing that background looks. Your skills are just out of this world! Wow! this is stunning Faye, amazing colouring and the background is amazing too hun. GORGEOUS background! Great textures and colors on the tails. So beautiful, Faye! WOW WOW WOW!!! So love the rays through the water, not to mention the mermaid! !